“Words cannot express my feelings—everything from euphoria and great joy to awe and disbelief. I am aware of the responsibility and high expectations of me, and I will do everything in my power to be a worthy conductor of this outstanding orchestra.” On June 21st, the Berlin Philharmonic voted by a large majority to invite Kirill Petrenko to lead them. 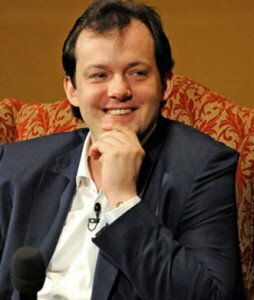 Two weeks later Andris Nelsons accepted BSO management’s offer of a three-year extension on his original five-year contract, “I am so very honored and incredibly excited by this new chapter in my musical life with the Boston Symphony Orchestra.” According to Mark Volpe, BSO Managing Director, “After a wonderfully successful first year as music director, it is clear that the BSO under Andris Nelsons’s leadership is poised to experience another thrilling period in its 134-year storied history.” Thus Andris Nelsons will lead the orchestra through spring of 2022. The parties also agree that Nelsons will lead several programs each season at Tanglewood and preside over tours to Europe, Asia, and North America and beyond each season through the contractual period. Management makes this announcement just as Nelsons returns to Tanglewood to lead six programs, including a festival performance of Mahler’s Symphony No. 8 with the Tanglewood Music Center Orchestra, the Tanglewood Festival Chorus and noted soloists. A video simulcast begins at 8:15 in Copley Square; the Symphony of a Thousand will also stream live on the BSO and WCRB websites and will be transmitted on 99.5 FM. Nelsons will embark on his first tour with the BSO as its music director to Europe’s major summer music festivals and concert halls on August 22nd through September 5th. Management also boasts of the BSO’s and Andris Nelsons’s first recording release on the Deutsche Grammophon label: Shostakovich Under Stalin’s Shadow, featuring the composer’s Symphony No. 10—a recording which was just recently named Gramophone Magazine’s Recording of the Month. Broadcasting the Mahler 8th into Copley makes as much sense as playing Beethoven’s 9th there on original instruments, so why not? in public, Mr. Nelsons said he was not mature enough for Berlin. Many people get the ‘mis-info’ in May after Berlin’s first election attempt. Even with his claim, it is hard to imagine that he would turn down the offer, if he had received a call from Berlin. But what really happened? I hope him to do well with Elektra and Bruckner 3. If that is the case, I will try very hard to visit Bayreuth for his Parsifal in 2016. No matter what, BSO is fortunate because few conductors have music in them on this planet.